According to Twitter @U2 is having server issues. BTW, I'm packing for Vancouver today!! Heading up tomorrow! Anjana.... remember PattiH? I think we will finally meet! Any word on how Larry Mullen Sr.'s passing going to affect Larry and the band for these shows? "After initial speculation today that U2 would have to cancel the opening night of their first tour in four years, RTÉ TEN has received official confirmation from a U2 spokesperson that the band's Vancouver show will go ahead as planned. The band will attend the funeral and then travel to Vancouver by private jet." Are live streamings done/allowed? I had the chance to enjoy some live streaming concerts in Jan/Feb this year for another band and they were extremely enjoyable. Of course it won't be like being at the actual concert but for those who can't go to any of them could be actually very valuable. There were plenty of live streamed concerts for 360 just not officially sanctioned ones, I'm hoping we may even see some official ones this time. Streaming has moved on plenty since 360 finished, I wonder what will appear this time round. Had ticket in stands for friday (Innocence) and just secured another one for Thursday on GA (Experience). Just finished to make your croissants guys ! Now starts a long process of proofing, then baking, and they should be delivered around 7:00 fo breakfast. Any update on how many people already in the GA queue ? Pizza, Croissants... what's next ? Champagne tonight ? Adam is nice. I met him in 1998 and there weren't many people so it was relaxed. then briefly in 2010 outside the stadium here in Perth. I had a painting for him and I looked down and before I knew it he was signing it!! and I went "argh!" and he jumped back a bit, like 'WTF?' he didn't know what I was holding was a painting for him that took me 3 weeks to finish. I briefly got to say to him (I think this is what I said) "Adam, this is for you. 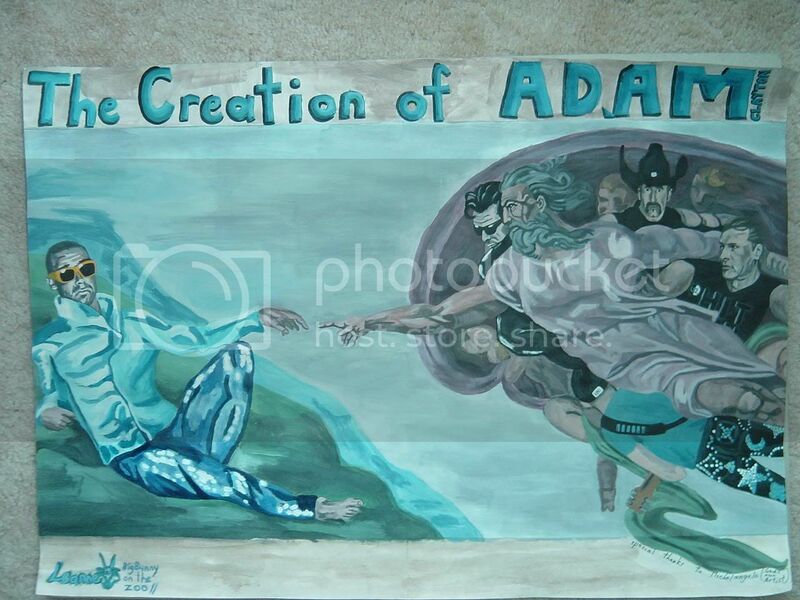 you are first because God created you first" and he smiled and took it from me.he didn't get a good look at the painting because it was curling up (I'd had it in a tube) but I'm still fond of it. I even had a thread in the old Zoo where you could follow how it was coming along. 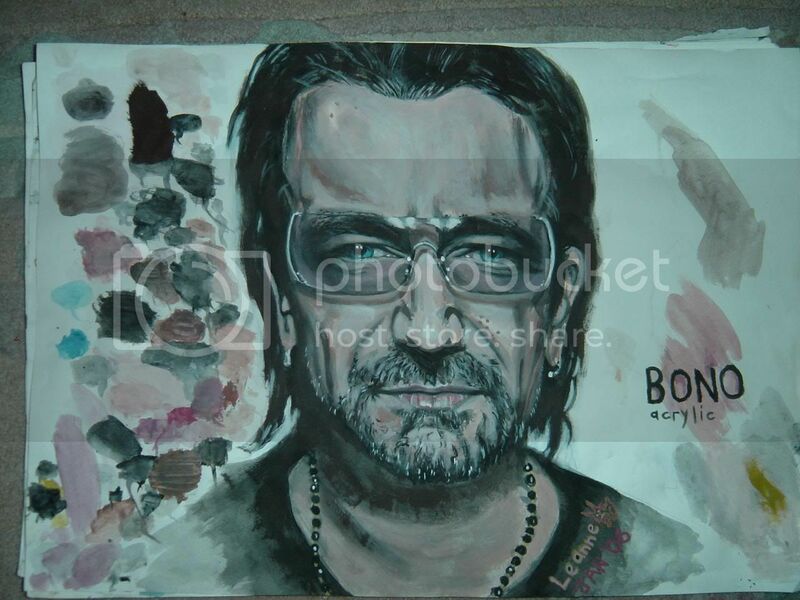 I had a painting for Bono too but he didn't stop so I handed the tube too security and asked if they could please pass the painting onto him. maybe I should of held onto it but it only took me 10 days to complete, I was happy how I'd captured him. YOUR WORK IS INCREDIBLE. SUCH TALENT , THANK YOU FOR SHARING.